﻿ "Jab We Met" - A 'khuli tijori' of life lessons! Tusshar Sasi	 October 25, 2017	 Leave a Comment on “Jab We Met” – A ‘khuli tijori’ of life lessons! Imtiaz Ali’s Jab We Met is a modest film. Modest in terms of its expectations from us, the viewers. You can easily munch a bag of popcorn and watch it away to glory – be it at 4 am in the morning or post a horrible day at work. You can laugh, cry and be overjoyed when the lovers unite. The film is also about emotions – that are complex, tempestuous and are not meant to be dichotomized much. Now who doesn’t like an emotional love story that entertains you to the hilt but also gives you good food for thought? That’s precisely why this tiny, cutesy romance is one of the most watched and adored romantic comedies of our times despite a screenplay that is tad too expository and clearly overwrought in parts. Over the past 10 years, we have seen how Jab We Met ended up being a part of modern pop culture. Be it the dialogue or the madcap situations, a Jab We Met reference is not too uncommon amongst millennials. All of it trickles down to a handful of simple lessons that each one of us must have unknowingly assimilated from the film’s unpretentious plot and chatty demeanour. Long before Rani Mehra set out on an impromptu Euro Trip in Queen, Aditya Kashyap (Shahid Kapoor) embarked on a similar journey. Less fancy and absolutely unplanned, Aditya drops all his belongings and hops on to a train from Mumbai’s CST Station. We are later told how he is ‘suffering’ from a terrible heartbreak. It would have been fun to know why this handsome millionaire chap was dumped by his girlfriend. Like the famous English idiom goes, no one quite misses the bus here. In an easy allegory to what they call ‘Dil Ki Baat’, missing the train is a big deal in Jab We Met. So much so that it is an unbroken record for the chatterbox Geet (Kareena Kapoor). The night she misses one, she duly demands the man responsible for it to take her home safely. Yet, the fear of missing a train is paramount in Geet’s mind. Clad in a Mughal-e-Azam printed white tee, Geet saw herself stranded in an unknown station with discrete men offering her shelter and free advice. One can assume that Aditya remained somewhere in her purview and she was aware – subconsciously so – that there’s something more to their union. Or maybe she was just a genuine do-gooder. Who knows! The journey is what matters, not the destination! What is life if you are fervently pursing a goal and not absorbing every moment you go through? Jab We Met says how fun can be had even on the dreary bylanes near Ratlam Railway Station in Madhya Pradesh. A momentary leap into a water body or stealing a bicycle and later making up to it can give you a high that no luxury tourist destination will. Geet and Aditya demonstrate how life is all about making the most of its fuzzy moments. “Manzil se behtar lagne lage hain, yeh raaste…” Indeed. Every time I buy a bottle of water from a railway station stall, I remember Geet’s conversation with the shopkeeper. ‘Railway ka daam toh 12 hai,’ Geet isn’t the poorest of girls you know, by any means. It is just that her family forces her to travel in AC compartments. Or else, the down-to-earth and talkative Geet would find more affable folks to mingle in a Sleeper compartment. After all, she had lived most of her life in hostels and hosteliers know the value of moolah! Later when the ‘Richie Rich’ Aditya demands to know the tariff at Hotel Decent in Ratlam, it is the naïve Geet who intervenes and settles for an hourly rate. Modest much! Life gets better with movie lines in it…. Long before we became addicted to Buzzfeed India and the mad universe of memes that’s all over social media, Jab We Met’s dialogues were celebrated and how. One might feel as if they are dangerously one-note but Anshuman and Daar jee represent classic prototypes of male supremacy in two realms of life. They are designed to starkly contrast with Aditya’s good boy image but they also ably highlight the ever-prevalent misogyny around. One who seems to be adept at hunting and shooting, Darji is the symbol of North Indian male machismo. He takes pride in his intuitions that are often proven right and he also chides his granddaughter about her inappropriate sense of dressing. Anshuman, on the other hand, takes his love for granted till the day he realizes the chances of possibly losing her. Relatable much? Hell yeah! With Geet clad symbolically in a red a skirt and a black and white top, what could have happened if Aditya had met Anushman while dropping her in Manali? Honestly, I wouldn’t want to explore that space. It is the separation at the midpoint that makes Jab We Met all the more delectable. It would have been an ecstasy of lesser intensity if the story hadn’t offered this twist. And our extent of loving the gem Aaoge Jab Tum could have possibly been lesser. … or to simply figure your way out to attain emotional catharsis. Be it burning a photograph or returning every single gift you have received, it’s absolutely fine until you let your emotions out. Geet, naturally, uses a lingo of brighter colours to deal with her miseries! So be it. You are one the driving your life, none else! Remember the mad taxi ride from Badnagar to Ratlam? If not fueled by alcohol, when was the last time you drove like that? One might argue that you wouldn’t need to. Still, would you, if a need arises? A propensity to take risks is something that average middle-class folks collectively lack in India. This is not with reference to inadvertent desi exceptions who indulge in mindless dares as the Blue Whale game. This is to those who let their parents, relatives and neighbours take the steering wheel to their life decisions. We observe how Geet makes absolute sense as she utters this. Because a commoner gets no one to blame for an abusive arranged marriage, a failed Engineering course or a business deal that went kaput. Take your own risks and you will always find a way out, says Jab We Met. … and a couple of sugar-coated but well-meaning theories! With a long list of contemporary films (including those of Ali’s) preaching us about the need to ‘dream’ or not to settle for the ordinary, we remember how Jab We Met had made this statement a decade ago. Still the question remains why Aditya didn’t turn a full-time composer as opposed to a young tycoon that he eventually became. The second lesson is around Geet’s idea of true love! A mere translation of a famous English phrase, the line is timely and well-used in Jab We Met and how it softens Aditya’s misplaced vengeance towards his mother. Now all of this might have sounded a little too familiar. There are no earth-shattering revelations or unnoticed observations in this piece. Perhaps I didn’t delve too much into Teddy Maurya’s classy production design or Nataraja Subramaniam’s picture postcard-like frames to the levels I should have otherwise. Come to think of it, this oblivion or the lack of deep dissection works beautifully in Jab We Met’s case. 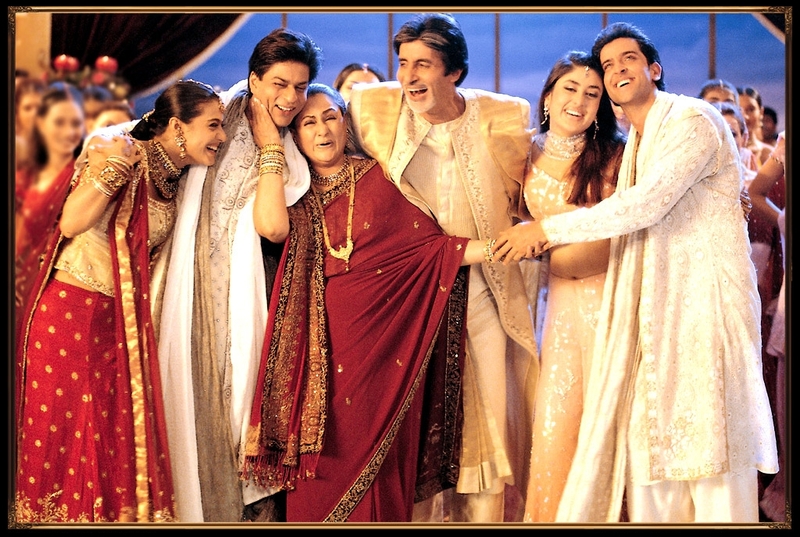 Compared to other notable mainstream love stories from the decade – Veer-Zaara, Hum Tum, Saathiya, Parineeta, Kal Ho Naa Ho, Kabhi Alvida Naa Kehna or Devdas, this is one film that is devoid of opulence, large period gaps, bitter confrontations or even designer clothes. The film is simple and shamelessly simplistic – which is precisely the reason why we adore it so much even after 10 long years of its release. And yes, thank you Imtiaz Ali for giving Kareena Kapoor that career-defining role. Can you picture her filmography sans Jab We Met or the film minus her vivacious presence? Previous Post“Golmaal Again” – This Rohit Shetty franchise should have aged better! Next Post“Villain (വില്ലൻ)”… Mohanlal triumphs in an insipid film built on one-liners! “Sachin: A Billion Dreams” deserves laurels for its format!